Attempts to nationalize the Mongolian Copper Corporation’s shareholding in the Erdenet mine in March 2017 and again in January 2018 have been ruled illegal by the Administrative Court in Ulaanbaatar. Attempts to nationalize the Mongolian Copper Corporation’s shareholding in the Erdenet mine in March 2017 and again in January 2018 have been ruled illegal by the Administrative Court in Ulaanbaatar. The judgment in favor of MCC is the fourth time the Government’s expropriation attempts have been deemed illegal. 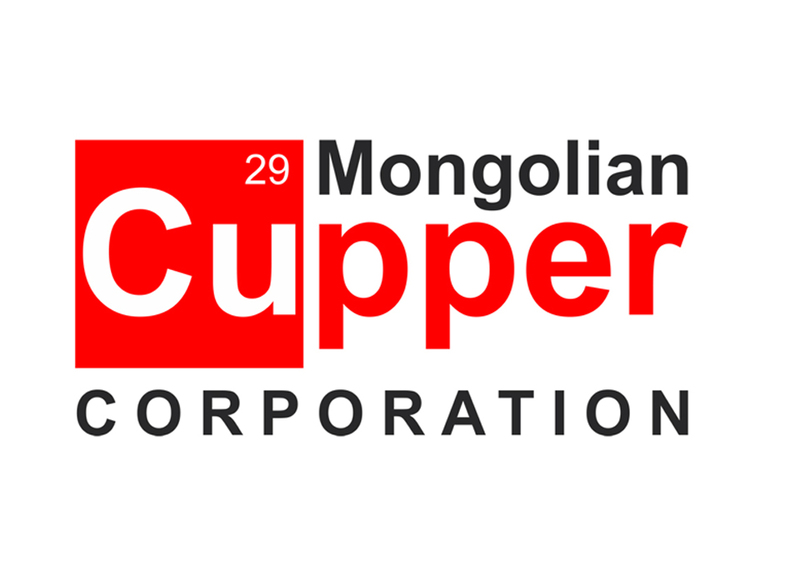 The Mongolian Copper Corporation LLC (“MCC”) owns 49 per cent of the Erdenet Mining Corporation and Mongolrostsetmet LLC (collectively “Erdenet”), with the remaining 51 per cent owned by the Government of Mongolia. Over the last year and a half, the Government has attempted to assume 100 per cent ownership of the mine by expropriating the MCC’s share through Parliament and Government resolutions. MCC challenged the legality of the Government’s actions in the Mongolian courts. The Government’s first attempt to expropriate MCC’s shareholding in March 2017 was rejected by the Sukhbaatar District Court and the Appellate Court in April 2017, a decision which was subsequently upheld by the Mongolian Supreme Court ruling of 7 December 2017. The Civil Division of the Supreme Court found that the Government’s decision to expropriate violated the laws of Mongolia as well as the Corporation’s own charter. The Government’s second attempt was on 4th January 2018 when it issued a resolution expropriating MCC’s shareholding. The Government had claimed it had reached consensus with MCC to assume a 100 per cent stake in the mine. MCC immediately rebutted the resolution stating that it had not been consulted, and that no agreement with the Government to sell the shares had been discussed, let alone reached. On 30 April 2018, the Administrative Court ruled that both March 2017 and January 2018 resolutions were illegal and that the Government of Mongolia has no legal right to take over the Erdenet shares without any formal engagement with MCC. As a result of the Administrative Court ruling, both resolutions to expropriate MCC’s shareholding in the Erdenet mine are now rescinded. The case was heard before a full bench of the Court. A number of representatives of the Government attended the hearing, including the Deputy Minister of Justice and Home Affairs B.Enkhbayar, department directors of Ministry of Finance, the legal counsels for the Agency for Policy Coordination on State Property and the General Agency for Intellectual Property and State Registration. MCC is a private company incorporated under the laws of Mongolia. MCC acquired 49% shares of EMC and Monros from Rostechnology in June 2016. MCC remains confident that the decisions by the Government of Mongolia are strictly illegal and that MCC’s acquisition of the 49% shareholding has been carried out in accordance with not only the laws of Mongolia but also in compliance with the applicable international treaties between Mongolia and Russia along with other international norms and business practices. During the original June 2016 transaction to acquire the shares, MCC was advised by Skadden Arps on matters of international law and GTs Advocates LLP on matters of Mongolian law. In June 2016, the Government of Mongolia (the “GOM”) sanctioned the sale of a 49% shareholding in EMC and Monros (together: “Erdenet”) to the Mongolian Copper Corporation LLC (“MCC”) for $400 million. MCC was advised by Skadden Arps on matters of international law and GTs Advocates LLP on matters of Mongolian law. On 10 February 2017, the Parliament of Mongolia passed a resolution (the “Parliament Resolution”) to nationalize MCC’s 49% shareholding in Erdenet. On 29 March 2017, the GOM issued a directive to arrange a shareholder’s meeting of EMC and instructed to procure, by any means, the appointment of 100% State represented board members of EMC. This is the first attempt of the GOM to implement the resolution. On 31 March 2017, the Agency for Policy Coordination on State Property, along with support of the Cabinet Secretariat, unilaterally held a shareholder’s meeting of EMC, and decided to transfer MCC’s 49% to state ownership. On 3 April 2017, the Agency for Policy Coordination on State Property procured, illegally, registration of the share transfer at the Legal Entity Registration Office. On 4 April 2017, MCC brought a civil case against the Agency for Policy Coordination on State Property at the Sukhbaatar District Civil Court of Mongolia requesting the court to reinstate MCC as the 49% shareholder of EMC. The Sukhbaatar District Court and the Appellate Court both ruled in favor of MCC by rejecting the arguments of the Agency for Policy Coordination on State Property, a defendant in the case, and ordering MCC’s ownership be reinstated. On 7 December 2017, the Civil Division of the Supreme Court of Mongolia heard the case and upheld the lower courts’ judgments. The judgment allowed MCC to be registered as the 49% shareholder of EMC and the shareholder’s meeting on 31 March 2017 and all decisions passed at that meeting including the dismissal of MCC nominated board members were annulled. On 28 December 2017, in accordance with the Supreme Court judgment, the GOM instructed its agencies to reinstate MCC as 49% shareholder in EMC. Accordingly, the Legal Entity Registration Office issued a renewed entity registration certificate on 28 December 2017. On 3 January 2018, EMC’s board resumed its operations and held the first meeting of 2018. The Board decided numerous vital issues that had been accumulated during the court case. MCC-nominated board members attended the meeting. On 4 January 2018, the GOM resolved to acquire the 49% shares of EMC and Monros by falsely claiming it has reached an agreement with MCC and issued another round of resolution. On 5 January 2018, MCC held a news conference and denied any existence of deal with the GOM and claimed it would launch legal actions against the GOM. On 11 January 2018, MCC amended its claim at the Administrative Court and asked the court to declare the GOM’s second decision on 4 January 2018, inter alia, strictly illegal. On 15 January 2018, the GOM procured a change of shareholder of EMC at one of its agencies, General Agency for Intellectual Property and State Registration. On 19 January 2018, the GOM procured a change of shareholder of Mongolrostsvetmet LLC at one of its agencies, General Agency for Intellectual Property and State Registration. On 9 February 2018, the Administrative Court held a preliminary hearing and suspended the GOM’s second decision on 4 January 2018 and barred the GOM from taking further actions within the mines operated by EMC. On 30 April 2018, the Administrative Court ruled both the February 2017 and January 2018 expropriation attempts by the GOM were strictly illegal.